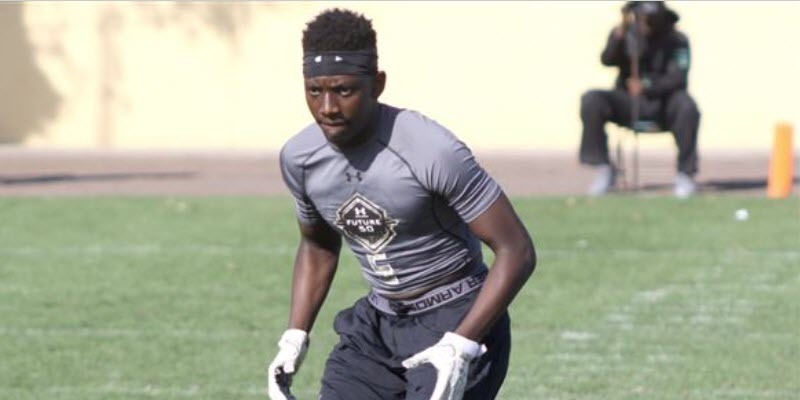 The Oregon Ducks signed a very good group of defensive backs in the 2018 recruiting cycle, and certainly one of the most heralded was national recruit Verone McKinley III from Hebron High School in Carrolton, Texas. Hebron (Hawks) High School is a medium-sized institution with an enrollment of approximately 2,500 students, playing at the 6A (large school) level in Texas. The city of Carrolton is a suburb of Dallas-Fort Worth and has a population of about 119,000. McKinley’s father played at Carter High School in Dallas. The same Carter High School from Friday Night Lights fame that won the Texas State 5A title in 1988, and subsequently had it revoked due to a number of rules infractions. ESPN’s Emmy-Award Winning ”30 for 30″ documentary entitled “What Carter Lost” aired more than a year ago, and chronicled the saga of a great season gone awry. The elder McKinley also played at Texas Tech University (1992-1995) as a defensive back. He appeared to be a starter his senior year at that Big VII Conference school. Verone McKinley, Jr. has been more than a “father coach” to his son growing up. He has actually been his position coach up to his senior year in high school, when the younger McKinley transferred from Prestonwood Christian Academy to Hebron High School. Verone McKinley III (or “VM3”), was a four-year starter in high school. He recorded 116 total tackles and thirteen interceptions. However the website Maxpreps.com lists only three of the four seasons he played. I also counted two more picks on his junior highlight tape, not accounted for by Maxpreps.com. VM3 has been listed by various media sources between 5-foot-9 and 5-foot-11. 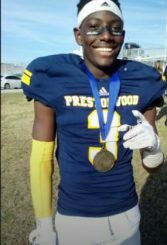 Some of this disparity can be attributed to the fact that he was a four-year starter, and received his first college offer from Louisiana State University as a 15-year old. He has been listed at 165 pounds on the low end, to 183 pounds on the high end. The high school recruiting websites hookem.com as well as tigernet.com, both list him as 5-foot-10 and 170 pounds. For our purposes, we will use the official Oregon Football roster and it lists him at 5-foot-10 and 183 pounds. 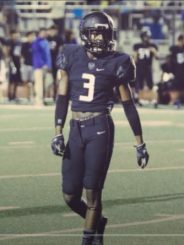 McKinley III competed at The Opening in Dallas, Texas but did not participate in all five testing events: Speed, Power, Agility, Reaction, and Quickness (SPARQ). We only have a 40-yard Dash time as a result from that event. He recorded a 4.67 40-clock, which is a respectable time for a kid about to go into his senior year of high school. VM3 plays at a higher level than he measures. He is equally adept in press coverage or in zone. He is tough, physical, and does an exceptional job of mirroring the receiver. His anticipation, play recognition, and reaction skills are elite. Above, McKinley III flashes his ability to highpoint in the flat. In the video above, VM3 adjusts to a tipped ball for an interception. He has excellent ball skills including hand/eye coordination. VM3 recognizes the WR screen above, and scrapes off a block to make the tackle in the open field. In the video above, McKinley III has inside-out position at the snap. A shoulder punch and “squeezing” of the wide receiver, results in an interception because of the tight coverage. VM3 (above) demonstrates his ability to locate and track the ball in space. He shows creativity after the interception in the open field, looking to make a big play in the return game. McKinley III sees the wide receiver screen develop, and jumps the route. He is the best that I have seen doing this. His highlight tapes are filled with him making plays, where he reads his keys and attacks the football. In the video above, VM3 blows up the play before it gets started. You don’t see this on tape very often from high school kids. In the video above, Verone McKinley III does his best Charles “Peanut” Tillman impersonation as he punches out the ball while making the tackle. Tillman was famous for doing that while playing for the Chicago Bears. Here, McKinley III demonstrates elite bump & mirror technique. He is in phase and tight with the receiver, which forces the quarterback to look elsewhere in his progressions. 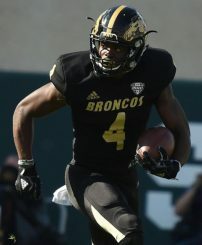 Darius Phillips from Western Michigan University, who was taken in the fifth round (No. 170 overall) by the Cincinnati Bengals in 2018 NFL Draft. Phillips and VM3 share similar size, athleticism, and cover skills. Other players that McKinley compares to are: Dennis Duane “D.J.” Reed from Kansas State, taken in the fifth round (No. 142 overall) by the San Francisco Forty-Niners in 2018, Taron Johnson from Weber State, picked up by the Buffalo Bills in the fourth round (No. 121 overall) in 2018, and Chandon Sullivan out of Georgia State, an undrafted free agent signed by the Philadelphia Eagles to their practice squad in 2018. Verone McKinley III is unique in that he has been the beneficiary of position coaching from his dad, since he was able to walk. What appears on tape to be “instincts” is more likely personal instruction, where VM3 has taken lessons learned in the classroom out onto the field … and it shows. He is confident and plays beyond his years at the high school level. He reads his keys and is decisive in reaction (with impressive timing), as a disruptive playmaker on the boundary. He is very polished in the press and flashes textbook technique with a nice hand punch, a fluid turn, and effortless mirroring of the receiver. He crowds the receiver, making the throwing windows so tiny the quarterback looks elsewhere. He is tough and plays bigger than his measurable, despite physical limitations. 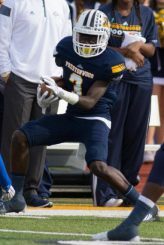 VM3 lacks the length to be an effective boundary corner at the collegiate level, where he will get high-pointed by the big wideouts. At 5-foot-10 he is more suited to the slot, not only in terms of length, but skillset as well. He is more “quick” than fast, and he may struggle against the wide receivers who are speed merchants when there is too much green grass behind him. VM3 is a solid Division 1 cornerback who should be a factor in the slot and situational sub-packages throughout his time at Oregon. He also has some NFL ability, but his physical limitations (size and speed) will prevent him from being an effective “starter” for an NFL club.